"Navigating Your Course To Optimal Resolutions"
The Law Office of Thomas C. Higgins, P.C. I am proud to have opened my own law office in 2018 in Valparaiso, Indiana. 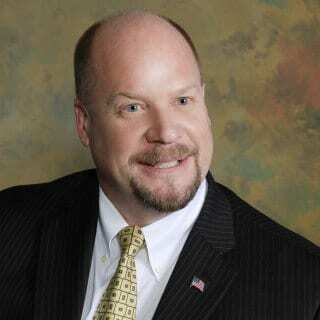 I am a civil litigation trial attorney licensed to practice law in Illinois and Indiana for over 27 years. I am also a Registered Civil Mediator in Indiana and have served as a sole and panel member Arbitrator in both states. Having served as in-house counsel and/or Managing Attorney for three Fortune 100 Insurance Companies, my cases ranged from personal injury and premises liability to motor vehicle accidents and foodborne illness matters. Handling such a variety of cases has created a reputation where I am known for ethically and aggressively representing clients as an excellent communicator, highly skilled in negotiating, conflict resolution, and courtroom litigation. During my legal career I have handled these high exposure cases from inception to verdict. This has resulted in numerous first chair jury trials, bench trials, Arbitrations and Meditations. It is this same experience and acumen that has enabled me to be an effective Mediator and assist parties in reaching a resolution. From my Valparaiso location, I continue to offer litigation, Mediation & Arbitration services, as well as general legal counsel for a variety of legal areas, such as Corporation and LLC formation, Estate Planning & Probate, Real Estate, and Personal Injury. My goal is to provide superior service to my clients, with an emphasis on building trust and long-lasting relationships for many years to come. I value your business and your referrals to family, friends and colleagues. I look forward to serving you.